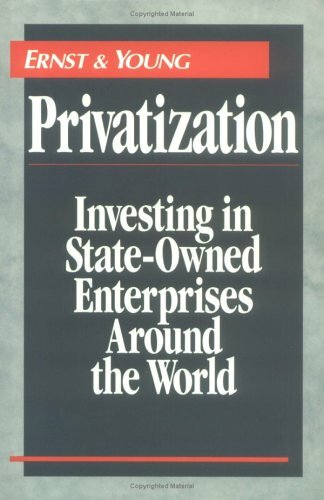 Privatization is not just an economic buzzword. It stands for investment opportunities that have unlimited upside potential. Based on years of successful privatization consulting both here and abroad, Ernst & Young has created this definitive resource to explain, through real-life case studies and detailed examples, everything necessary to locate desirable buys, assess risks and rewards and negotiate the most favorable deals. Should I Invest in a SOE? Which Country Should I Invest in?